Hi there. I'm just starting out, slowly going to start making recipes at my apartment. What's stuff I should buy for getting my foot in the door and my name out there? 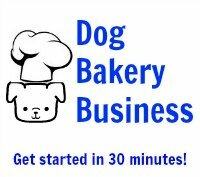 Basic supplies to start with would be K9 Katie's cake and biscuit mix for dogs and Magifrost icing mix and frosting mix for dogs to decorate your dog treats. We also recommend the food color pack to color the icing. There is an assortment of silicone pans in various shapes to choose from to speed up your treat making and make clean-up a cinch! The small paw print silicone pan and the mini bone shaped pan are very popular. Think about offering custom dog birthday cakes. Dog owners love to celebrate their dog's birthday. The dog is part of the family! 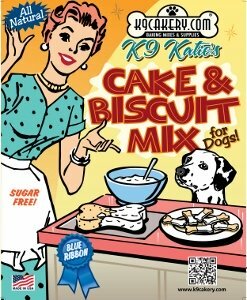 Make it easy on yourself and start out with the K9Cakery cake mix. You can mix in extra ingredients for various flavors. Magifrost dog cake frosting mix will harden and not melt ensuring that you customers take a beautifully decorated cake home without worrying about it melting. Be sure to make up a business card or label that has your contact info clear, large, easy to see and read. Good luck!